Winter is quickly approaching! The air is getting more crisp, the leaves have almost fallen from all of the trees, and you can expect to see some snowflakes floating around in the upcoming months. What a wonderful time of year to host a wedding! If you have decided to tie the knot within the lovely winter months, you will certainly want the details of your big day to complement the season! And, there is no better way to do so than by presenting some delicious seasonal signature drinks. Rim a lowball glass with chocolate sauce, and dip into the graham cracker crumbs. Place three ice cubes in your glass, pour in your liquor mixture, fill the rest of the glass with milk, top with a toasted marshmallow…enjoy! 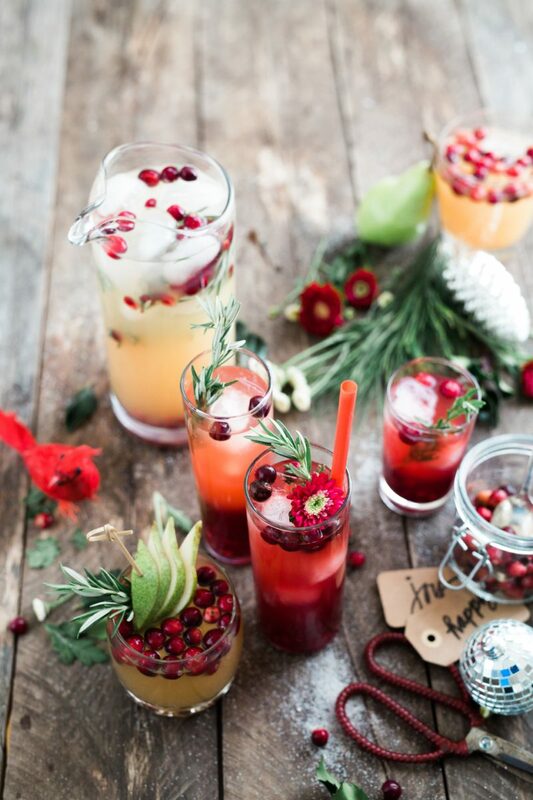 Serve over ice and garnish with cranberries and rosemary…delicious! Add some pizzazz by garnishing with a whole candy cane…yum! Signature drinks are certainly a wonderful way to please the taste buds of your guests! These are just a few that you should consider serving at your own winter wedding. If you are all set to plan your own signature drinks and menu with a wedding caterer in Baltimore, Maryland, please get in touch with us here at Zeffert & Gold Catering. We would be pleased to serve your big day as your Baltimore wedding caterer. Error: Error validating access token: Session has expired on Friday, 12-Apr-19 20:42:14 PDT. The current time is Wednesday, 17-Apr-19 13:42:56 PDT.